Geek Grotto - Get Your Geek On! : Hyperdimension Neptunia: Producing Perfection Out Now! Hyperdimension Neptunia: Producing Perfection Out Now! 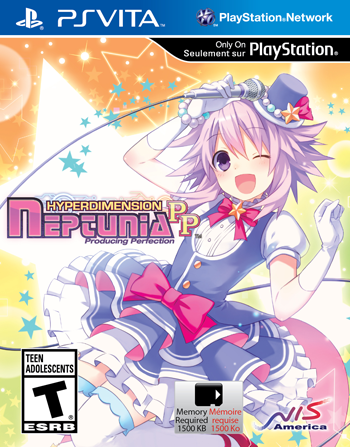 Well today Vita owners can turn their favorite Gameindustri character into a virtual idol as NIS has announced that Hyperdimension Neptunia: Producing Perfection is now shipping to retail and PSN! Why are you still here reading this?? It's not often we get an Idol type game in the US, go play it NOW!